Citation Information: J Clin Invest. 2002;109(5):579-580. https://doi.org/10.1172/JCI15197. Central components of the TNF and Tlr-4 signaling pathways. 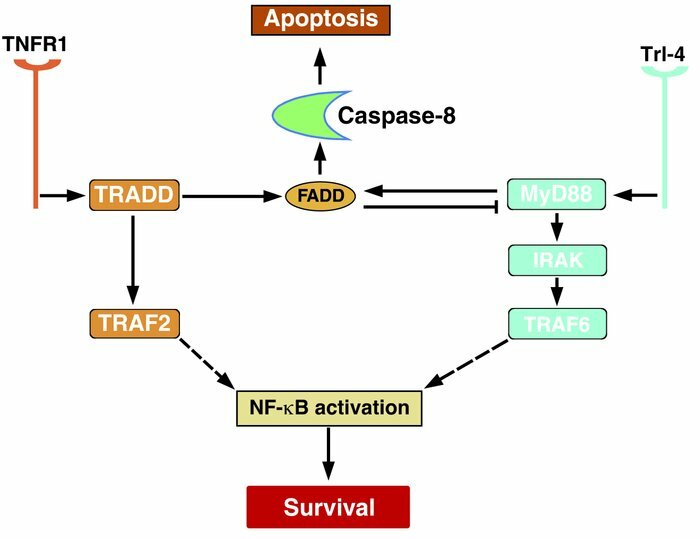 Recruitment and activation of FADD suppress Tlr-4– but not TNFR1-mediated signaling, presumably through an interaction with MyD88. See text for details.